I saw this tag on Getting Through Anxiety’s blog and thought I’d participate in the fun (I’m also trying to catch up on the list of tags I still have unfinished, and this looks like a quick one hehe). Feel free to participate if you wish! Hm. I adore the feel and smell of the pages, but I can read books on my Kindle on my lunch break at work or anywhere, and I love that convenience. I know theoretically, I can read a physical book anywhere, too, but the e-reader makes it so much easier. Trilogies. I don’t hate series. Hell my favorite (book) story is a series (ASOIAF), but overall, I like it when narratives have a finite and defined ending. I’m going by my favorites list on Goodreads and their average rating. I really can’t believe this book is rated so low (3.73), but I guess YMMV when it comes to angelic lore. 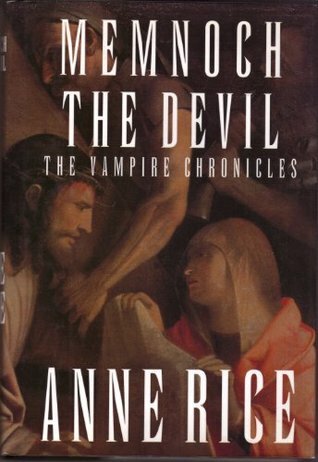 Even though I haven’t read it in years (and reread could potentially change my point of view), it has a Paradise Lost vibe to it insofar as the devil is painted as a sympathetic character, but Ms. Rice does it not only on purpose, but for that purpose (unlike Milton who would’ve never purposely done such a thing). 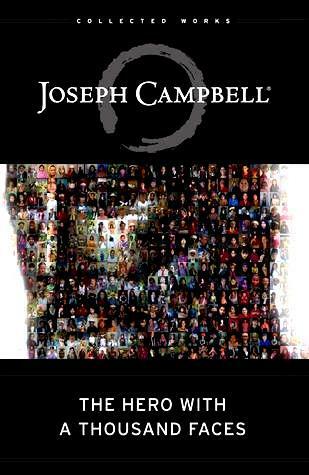 This book was probably integral in my obsessive sympathy for my favorite Luciferian character. Oddly enough, the last book I finished is by the person from whom I got this tag, and I wrote a review for it here! I just bought two used books on Amazon yesterday. They were $0.01 each. I paid more for the shipping than for the books themselves. I have no problem with used books. Buy. I want my own things. I tend to like plot driven stories, but you have to have good characters who are going to know what to do when they’re thrown into precarious situations. There’s nothing more wonderful than a long, fascinating novel, but I’ve been breezing through a lot of shorter works lately, which is helping me reach my 2017 reading goal. So I prefer long books, but short books are good for practical purposes. It also depends on how much I’m enjoying the story in question. Short to medium. Granted I’m a hypocrite when it comes to chapter length in my own work. Anything by Douglas Adams is hilarious, and I cry during Iza’s death scene in Clan of the Cave Bear every single time I read it. I’m tearing up right now thinking about it. Only if I’ve already read the book. I think we all do every now and then. 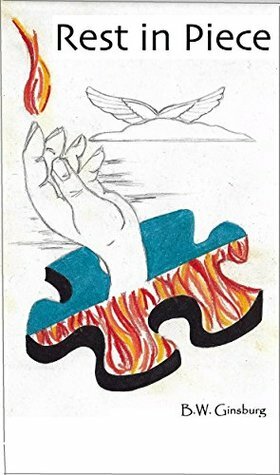 I have definitely been drawn to a book based on its cover, which has led me to read the blurb and potentially make a purchase. 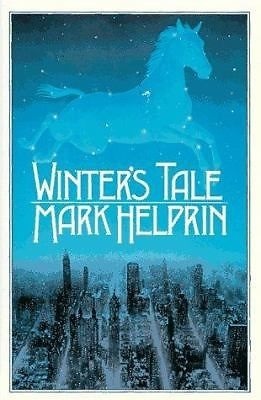 Winter’s Tale by Mark Helprin is a perfect example of this. I found it in a used bookstore, had never heard of it or the author, didn’t realize at the time the title is based on a play by Shakespeare, but the cover caught my attention. Book to TV can generally fit more of the book in (if done properly. I’m looking at you Game of Thrones). Series if the writing is compelling. For example, I absolutely love The Raven Cycle series. Glad you liked the tag and good answers! I have a question for you. I know you’re currently writing a book, but do you have any previous books you’ve written? I know someone who is doing author interviews. I wrote a paranormal romance novel about five years ago, but I shelved it because I was drowning in rejections from agents, and it was making me dangerously depressed. It’s why for the past few years I’ve only actually written fanfiction while getting my bearings and preparing to go through the gambit again. I need to reedit the old story with fresh eyes before I start submitting to agents again. Sooo I’m technically not an author, at least I don’t consider myself one…not yet. When I can say I have something published, then I can graduate from writer the author hehe. I really appreciate the offer though! No problem! For the record, I’m sure you’re a great writer! Very cool! Also, I love The Last Unicorn and am so glad there is someone out there who realizes it’s not just an animated movie!! It’s been on my to-reread list forever now! That is one of the things I love about it. It makes fun of itself and the fantasy genre as a whole. I agree with a lot of your answers and I had to squee with excitement over The Last Unicorn mention. lol I love that book and the animated movie for it. Oh, wow. I never knew he had had difficulties getting it published, but I’m so glad he stuck it through and made it happen. I agree, there are so many things to love about the book. I really need to read some of his other works but have yet to do so. Have you read any other stories from him? And if so do you any suggestions of which ones are must-reads? I’ve read The Innkeeper’s Song, and that was fantastic, too. It was a bit more vulgar than Unicorn, oddly enough. I want to read A Fine and Private Place and Tamsin. Do you know there’s a sequel to Last Unicorn? It’s free on the internet, too! Where is that link? Oh here it is! I haven’t read it yet. I really should; it’s not very long. And thank you for the tips on some of his other work. It is greatly appreciated. I need to remember to read it myself! I’ve had the bookmark for a while. I don’t even remember where I found it. I may have just googled the title to see where I could purchase it, and there it was. If I could figure out a way to put it on my Kindle, I’d have read it already! The physical vs digital media thing also carries over for video games. I always buy physical copies of games when I can because they look nice on my shelf. I also like owning things and it feels like I don’t if they are just bits of computer code stored on a device. There are some games I definitely want to own same as books! I don’t mind having some books/games as digital copies, but there is something nice about seeing the physical manifestation of my obsessions on a shelf hehe. I immediately picked that book up and fell in love with the blurb. It’s magical realism, which is REALLY hard to pull off. Blue is my favorite color, too! How did you make out with, what did you say? 60cm of snow?? Even in places where snow is normal, it gets to be too much! Ack! We have gotten so much less snow than we normally do this year, but it has been really cold lately. I’m actually hoping that we get some. You should send us some of yours! It seems like there’s plenty in your corner of the world to go around. Take it!! Take it all, please… 🙂 Also, be careful what you wish for, haha. It’s suppose to be 6 degrees here tomorrow (42 degrees in your system of measurement 🙂 ). That’s downright tropical for this time of year. It’ll take some time to melt the 31 inches of snow we got this week though, haha. It was downright hot today grrrr. It’s better now that the sun has gone down, but I want winter in winter and spring in spring. In your case though I can definitely see the appeal and 42 isn’t too outlandish!